In 2013, LG made the Nexus 5, and I loved it. It was a simple device, a slab of a phone really with 1080p LCD display and matte plastic finish. But at $350, it was incredibly cheap and held its own with the very best. 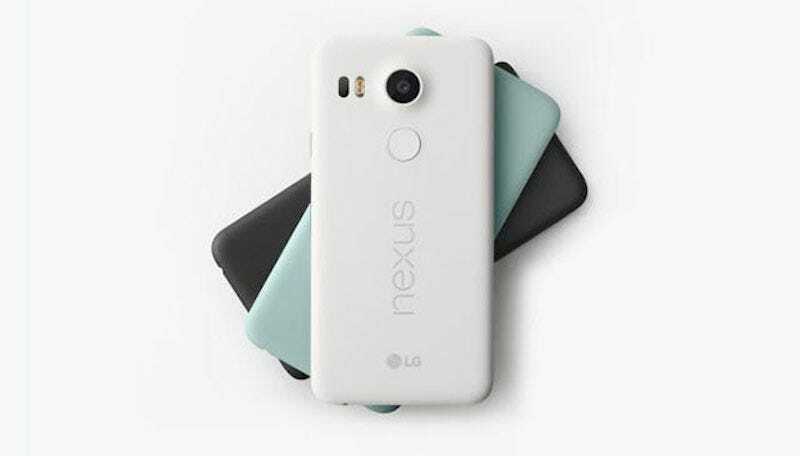 Now, LG and Google return with the Nexus 5X. This isn’t exactly a carbon copy clone, but more of a sequel to the Nexus 5. It’s slightly bigger at 5.2-inches and it has other requisite updates from the processor to other hardware features, like Nexus Imprint (a fingerprint sensor), USB-Type C, and a better camera sensor and features. It even comes in a nice Ice Blue color. But it’s primarily the spiritual equivalent to what Google tried to achieve with the Nexus5 in 2013—create a smartphone as an entry point for pure Android and showcase that great doesn’t need to mean cheap. The only thing is, this isn’t 2013. The Nexus 5 was actually so good at showing how great inexpensive Android can be, companies like OnePlus and Motorola have followed suit and made some great phones for not a lot of money. But if pure Android is a must have feature rather than a nice addition for you, than the 5X or its new, bigger brother the 6P are your options. But even if it’s not quite as feature-packed as Huawei’s new creation, I can’t help but be a little happy that my favorite smartphone ever made now has a successor. You can pre-order the Nexus 5X, starting at $380 (unlocked), in the Google Store starting today and will be available on all major U.S. carriers and even Google’s Project Fi. You can also get a new service, called Nexus Protect, which covers the 5X from mechanical and accidental damage for 2 years for $70. Android Marshmallow will be released starting next week.